The used Jeep Grand Cherokee is an iconic mid-size SUV that delivers rugged off-road power, family-friendly space, and substantial towing power. 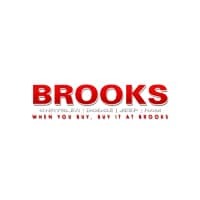 Unlike many competitors, these models offer an advanced four-wheel drive system that tackles seriously rugged territory. 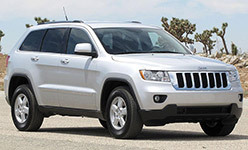 The Jeep Grand Cherokee makes a great pick for used buyers because it provides long-lived dependability. Modern comfort and convenience features make your time on the road well spent. 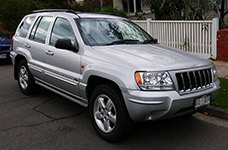 Check out our used Jeep Grand Cherokee buying guide to learn more. The current, fourth-generation used Jeep Grand Cherokee is better ever. It’s the perfect pick for drivers who want to combine a people-friendly cabin with rugged off-road power. These models also supply added refinement, so highway cruising never feels like a chore. 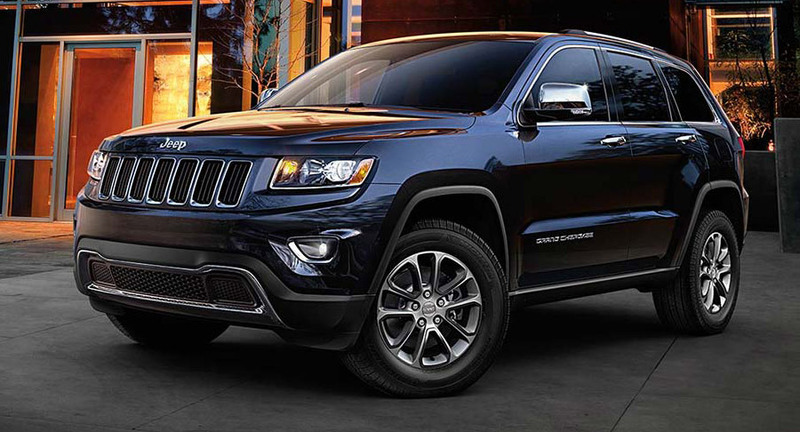 Under the hood, the used Jeep Grand Cherokee generates substantial power. Properly equipped, these mid-size SUVs can tow max loads of 7,400 pounds. Inside the used Grand Cherokee, you’ll find plenty of room to spread out – for front and rear passengers alike. Posh features, like leather upholstery and heated front seats, make your trip truly enjoyable. The fourth-generation Grand Cherokee also plays to modern sensibilities, with a central infotainment system that provides quick access to smartphone integration features. The rear-seat Blu-ray entertainment center keeps younger passengers occupied for hours on end. When the third-generation Jeep Grand Cherokee arrived, it introduced a number of new four-wheel drive systems and a range of modern engines. Inside, improved ergonomics increased passenger comfort. 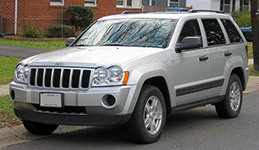 For the 2007 model year, the Grand Cherokee announced a diesel engine that combined serious power with substantial fuel economy. These models also offered a number of new safety features, such as hill-start assist, that were designed to help you maintain authority over road conditions. These Jeep Grand Cherokees offered increased head- and legroom and a larger cargo area, making them even more family-friendly. A new V8 engine increased engine output for a stronger showing on rugged terrain. Jeep also introduced the Quadra-Drive system, which could send power to a single wheel if the other three lost their grip. In the nineties, the first-generation Jeep Grand Cherokee showed shoppers everything that a modern mid-size SUV could be. Unlike competitors, these models offered a driver’s side airbag and four-wheel antilock brakes, thereby maximizing safety. They could also be had with upscale features, including leather seating and premium audio.